Call to begin building your dream home. Building a house isn’t just about framing walls and choosing paint colors. Building a home is about building a legacy. It’s where your family will gather to celebrate birthdays and holidays. It’s the site of many pool parties and pickup football games. Milestones and memories will come from the walls within your custom home and the land that surrounds it. That’s why it’s our pleasure to work with homebuyers who want to build their dream and establish their family’s legacy through a custom-built home. There’s nothing quite like building your new home. You get to watch a plot of land become a beautiful area where your family will grow and thrive. Because each family is looking for unique features in a new home, we offer custom-built houses in a variety of floor plans and models. We’re based out of the Kansas City area and travel into communities as far as western Kansas, Marshall, MO and even Lake of the Ozarks. We specialize in building custom homes that tailor-fit each family’s needs. Some need extra rooms for growing families and little toes. Others want large kitchens and outdoor features perfect for entertaining. And yet some just want handicap-accessible bathrooms and entryways as they plan ahead for the sunset years. Whatever the case, we can build a perfect home for you. For families who want a new home, yet don’t prefer to deal with the decisions of choosing a location, floor plan and more, we build homes in The Paddock neighborhood, located in Lee’s Summit, MO. These are quality homes pre-built by Legacy Custom Homes that offer the option of choosing features like colors, flooring, lighting and accessories. We build homes in and near the Kansas City area. The Midwest offers a great place to settle down and build a dream home. We’re consistently recognized for our affordable housing and “best of “ communities. Cities and towns near the Kansas City area are known for excellent schools, parks, shopping and more. Plus, we have something for everyone. Those looking to settle down in the country are pleased with the rural options in the area. Those who wish to be near the city also find great plots of land for custom-built homes. Family values and long-lasting traditions make this place like none other. It really is a great place to watch your dream come true. We love that Legacy Custom Homes is a TRUE custom builder! We were able to add new and fresh ideas to our home instead if the same thing you see everyone else do! Nov 15, 2013 by David and Carol C.
We built our dream home with Legacy Custom Homes their quality and customer service exceeded our expectations! 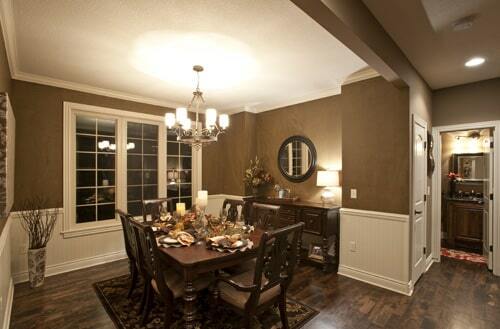 Nov 15, 2013 by Christina M.
Building our home with Legacy Custom Homes was a great experience. We appreciated how they stood by their work both during the build process, as well as, after construction was over. They provided us with the opportunity to choose some of the latest design styles making our home absolutely beautiful! Jul 19, 2012 by Tricia C.
The people of Legacy Custom Homes are fantastic to work with. They bring a passion to their jobs and have a collective knowledge that is unrivaled.